Lebanon has absorbed tens of thousands of refugees fleeing from the conflict in neighbouring Syria in recent months. Many are living in overcrowded conditions, suffering psychological distress, fearful for their safety and unable to afford medical care, says the international medical humanitarian organisation Médecins Sans Frontières/Doctors Without Borders (MSF) in a report released today. Fleeing the violence in Syria: Syrian refugees in Lebanon details the living conditions and health of the refugees and the major issues facing them, including access to housing, food, water, sanitation, healthcare and security. Most refugees are settling in low socioeconomic regions of Lebanon, placing an additional burden on already overstretched resources. Gaps are appearing in refugees’ access to medical care, particularly hospital-level care and treatment for chronic diseases. Of the 5,000 refugees interviewed by MSF, three-quarters fled Syria as a direct result of the conflict and 40 percent have lost family members to the violence. The majority say they have not found the security they sought. Lebanon is itself unstable as a result of the Syrian crisis, evidenced by the recent violent tensions in the country’s second city of Tripoli. Feelings of hopelessness and alienation are widespread. Nine out of ten of those interviewed see their future as highly precarious and do not know if they will be able to return home. 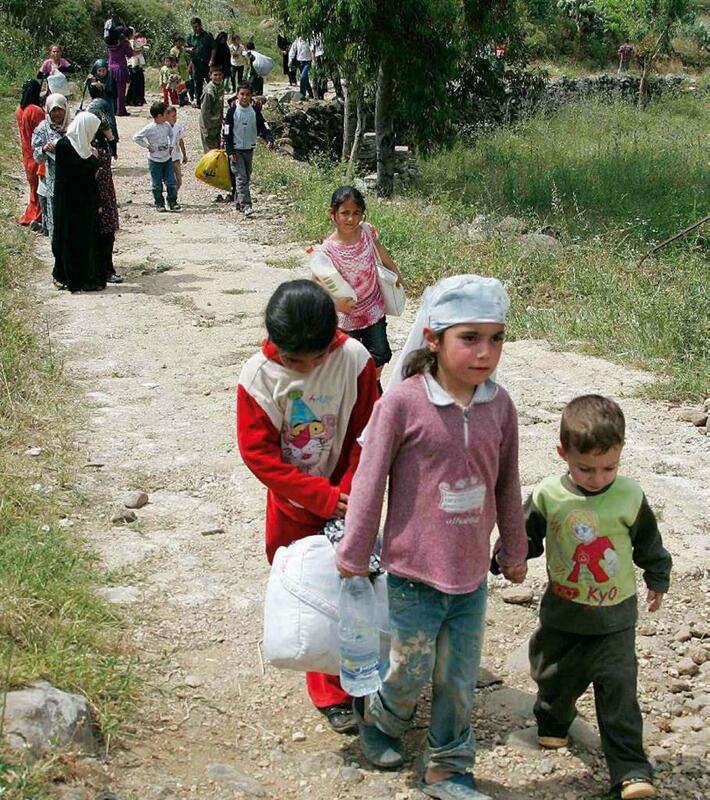 As more and more Syrians cross into Lebanon. living conditions for the refugees are deteriorating. “There are severe overcrowding problems in Wadi Khaled, in northern Lebanon and in Aarsal, in Bekka Valley, while in Tripoli, rental costs are beyond what they can afford,” says Forgione. Most Syrian refugees in Lebanon are reliant on humanitarian assistance, but this is now coming under threat. So far, the combined support of host communities, the government and humanitarian organisations has averted a major health crisis. Individuals within the Lebanese community have made tremendous efforts to integrate and help the refugees, but financial restraints mean they are reaching the limits of what they can do. The prospect of assistance being reduced, or not being planned for in the long term, could see the refugees’ health put in danger, MSF warns, calling for continued support for Syrian refugees in Lebanon and for the local communities which are hosting them. MSF remains ready to assist all victims of the conflict and continues to expand its activities in Syria and neighbouring countries. Despite difficulties accessing the country, Médecins Sans Frontières (MSF) has been working in Syria for the past two months, trying to provide humanitarian assistance to people affected by the conflict. As of mid-August, MSF has admitted more than 300 patients to this facility and surgeons have carried out 150 operations. In Jordan, Lebanon and Iraq, all of which share borders with Syria, MSF has been providing medical care mainly to Palestinian, Syrian and Iraqi refugees. MSF teams in these countries are prepared to deal with needs arising from the conflict in Syria. In Lebanon, MSF has pre-positioned emergency medical stocks and relief items for 10,000 people in case the situation in Syria declines and triggers a massive influx of refugees.